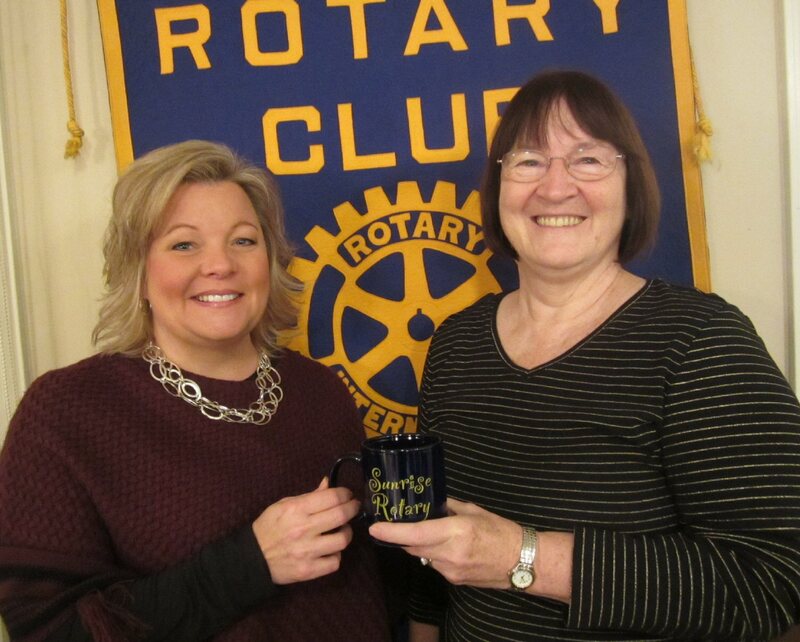 FULTON, NY – At a recent Fulton Sunrise Rotary meeting, Rotarian LaVerne DeLand introduced Stephanie Forsythe, logistics manager at Davis-Standard. LaVerne DeLand, right, and Stephanie Forsythe. She has been with D-S for more than 25 years in various capacities until her present position. She told about the history of D-S, the various name changes throughout the years. The closing of the New jersey plant caused Fulton to take on much more responsibilities. They now ship 300+ orders a month with a 91% on-time delivery and are responsible for incoming and outgoing freight and packaging. Universal Metal Works added on to their facility and this new area is being leased to D-S. There are about 150 employees here, with sales staff located in New Jersey.